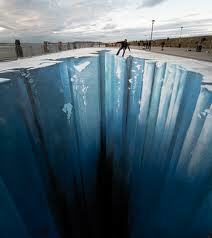 Much like his street painting The Crevasse, Edgar Mueller’s The Waterfall features what appears to be a giant hole in the pavement revealing a dramatic scene. 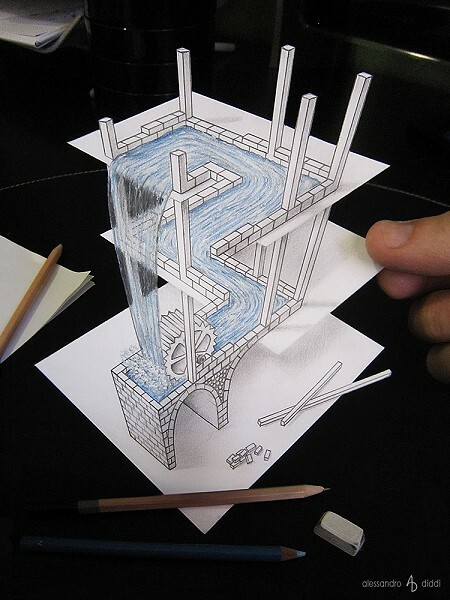 Edgar created this anamorphic work in July 2007 on River Street in Moose Jaw, Saskatchewan, Canada. 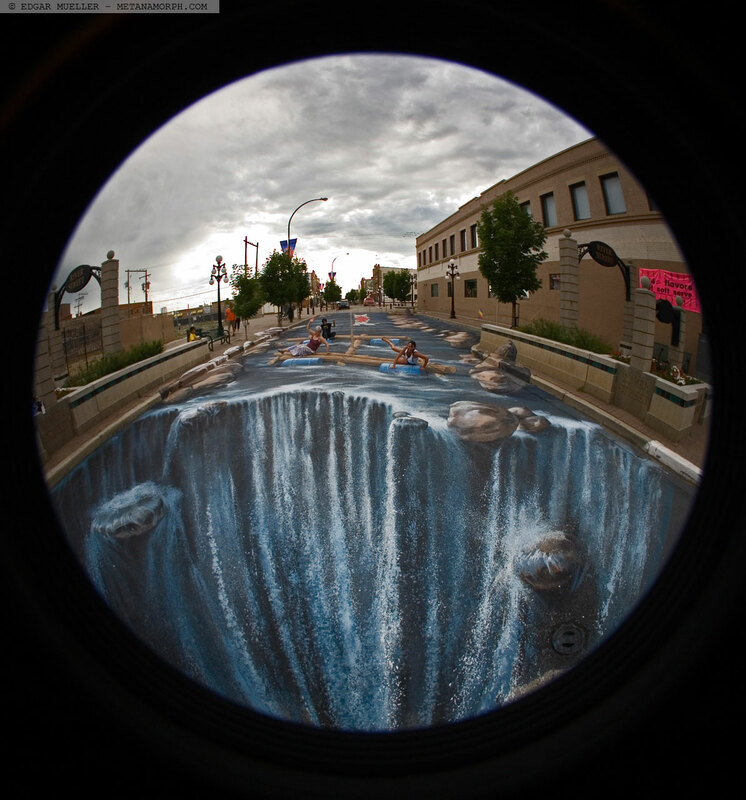 This street painting, created for the Prairie Arts festival, was the biggest three-dimensional street painting at the time it was completed covering over 3,000 square feet of pavement. 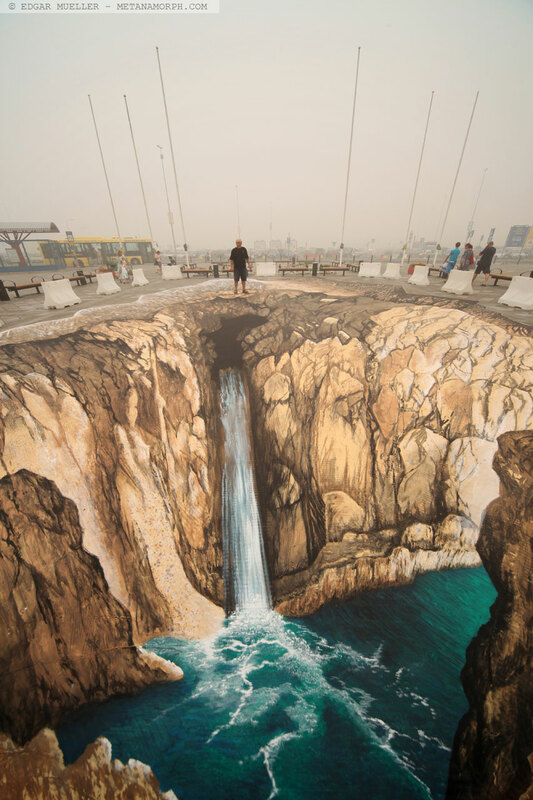 Local artists assisted Edgar with this painting helping to transform the street into a giant river flowing toward a dramatic waterfall.